2. Hardness: HRC48-68 according to customers request. 3. Triple tempt for optimum wear resistance. 5. Excellent cutting longevity and wear resistance. 6. High intensity,high toughness,small thermal deformation. 7. Blades are eliminated unwanted and uncontrollable residual stress. 9. Strict quality management system. We can provide customized service by selecting the most suitable tool material and adopting the most accurate heat treatment process to ensure the utmost performance of tool according to the application and performance required by customers. Our large vacuum heat treatment furnaces, forging, CNC machining and other high quality facilities necessary to production guarantee our first class quality. All of your inquiry and emails will be replied within 24 hours. We also have good after-sale service to solve any problems occures. And you are welcome to visit our factory. A:We are the 100% manufacturer ,could guarantee the price is first-hand. 2. Could you offer OEM and ODM service? A:That is ok ,we have experience in OEM service. 3. What is your package? A:Our usual packing for blades is plywood pallets and crates, blades are wraped with PE coated wax paper. 4. Could you print our logo? and your payment terms? A: Yes, we could laser your logos on products for free, payment terms :30% deposit, balance before shipping. 5. How do you guarantee your quality? 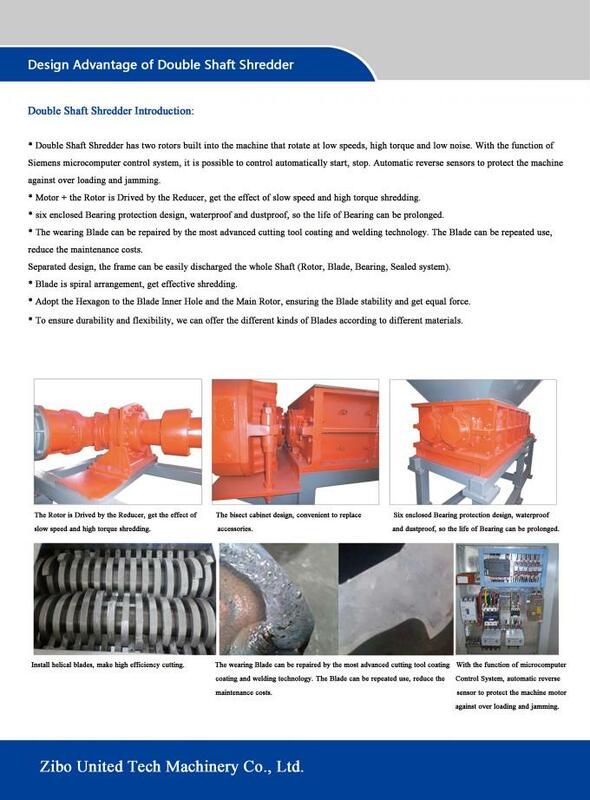 Double shaft shredder have been designed for a wide array of applications and industries,suitable for shredding solid material such as E-waste, metal, wood, plastic, scrap tires, packaging barrel. 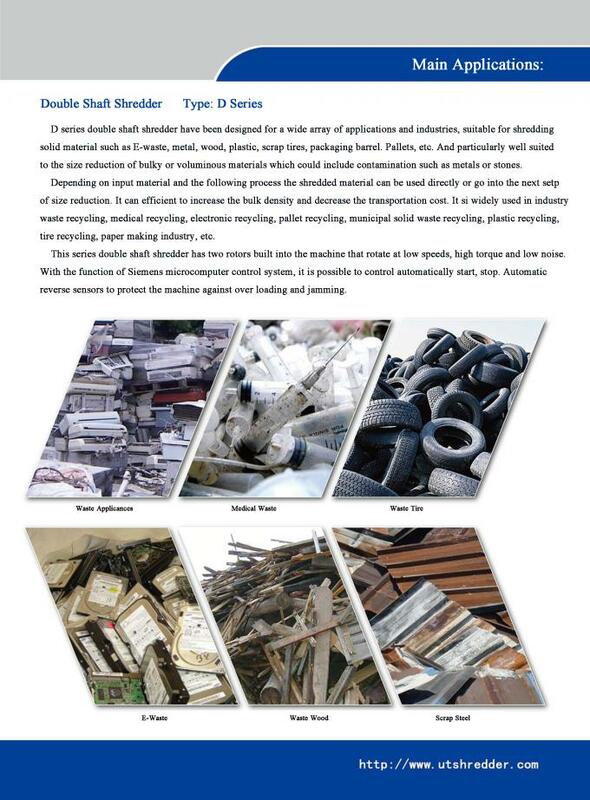 Pallets, etc.And particularly wellsuited to the size reduction of bulky or voluminous materials which could include contamination such as metals or stones.Depending on input material and the following process the shredded material can be used directly or go into the next step of size reduction. 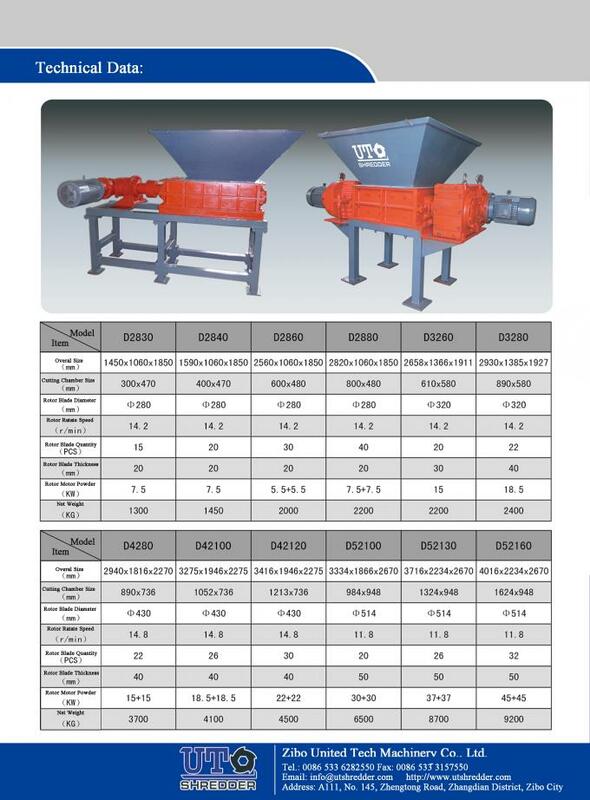 It can efficient to increase the bulk density and decrease the transportation cost.It is widely used in industry waste recycling, medical recycling, electronic recycling, pallet recycling, municipal solid waste recycling, plastic recycling, tire recycling, paper making industry, etc. 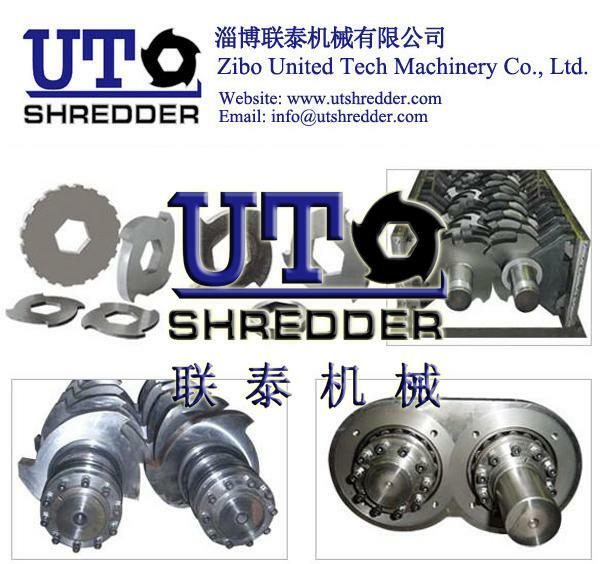 Shredding room is adopted large thickness, high strength, Wear resistance of steel. 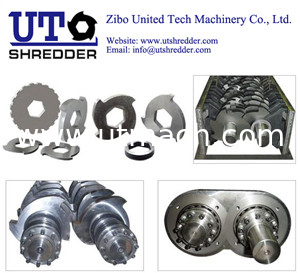 The whole crushing room was finished by CNC machine, with high precision, easy disassembly, repair, maintenance, long life and other advantages. The knives use imported high-quality alloy steel, with high strength, good toughness, not easy to break and so on. And can to ensure that there is a good blade in the work, disassembly, and easy to maintenance. Shaft is adopted a special material processed by CNC machine, with high strength, good toughness, not easy to out of shape, work status stable. Rotary blades can use integral blades or assemble blades, blades structure can be divided into single claw blades, double claw blades and multi-claw blades. Rotary blades can cut material evenly, reduce energy consumption, reduce noise, loading and unloading blades is very convenient.